A free collections management system for Victoria’s cultural organisations and a tool for students, researchers and curious minds. Black painted steel cabin trunk. On maker's label inside lid: "GUARANTEED BEST COLD ROLLED CLOSE ANNEALED STEEL. MANUFACTURED AT WOLVERHAMPTON JAPANNING WORKS" Displays a Registered Trade Mark in form of a piece of cord in shape of a slip knot. 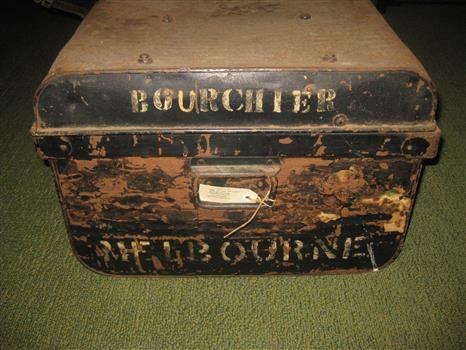 In white stencil paint applied to end: "BOURCHIER MELBOURNE"
A white-bordered, black and white photograph of the Mission to Seafarers Canteen. From the left hand side of the photograph the image portrays an external doorway with six glass windows, emitting light from behind. This leads to the dipslay cabinet and bench of the canteen which is reflecting light from the windowed door. Central to the image is a pillar which is three-quarters wood paling starting from the floor, of which a map is displayed on one edge and a notice board on the remaining visible edge of the pillar. A bench is visible to the right side of the pillar and the far right side of the photograph, posters are hung on the wall. The canteen is part of the Mission to Seafarers building that has catered to visiting seafarers since 1917. 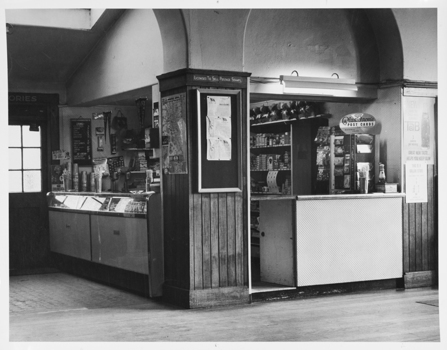 The canteen is operated by the Flying Angel Club, which offered services to seafarers including food, drink and souvenirs from the canteen and events held in the main hall which invloved the use of the canteen. The Ladies Harbor Lights Guild also used the canteen facilities for functions and fundraisers held at the Mission to Seafarers. 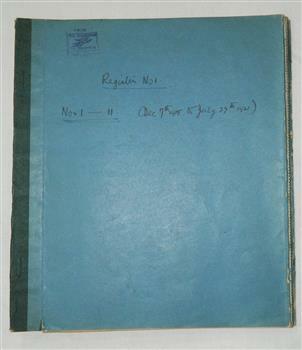 Historical record of the Mission to Seafarers canteen post-1963. This is an example of the contemporaneous use of the canteen as primarily a supply shop and in a comparative fashion reveals some of the overall changes at the Mission..
Purple stamp on central back of photograph. "Melbourne Harbor/Trust Photograph/Negative No......."
Piece of cream silk printed on face and inside, screen printed in purple and black ink on front and inside the order of service. details of all ministers of religion and shire dignitries as well as hyms sung. 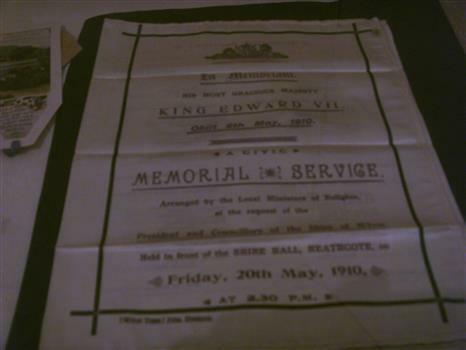 Created for the memorial service that was held on friday 20th may 1910, held in front of the shire hall in Heathcote to honour king edward VII who died on the 6th may 1910 at 2.30 p.m. this was arranged by the local ministers of religion at the request of the president and councillers of the shire of McIvor. Believed to be the only one in exsistence, after intesive research have been unable to come up with any information, from the shire, local churches or senior members of the community,only mention was in the Bendigo Advertiser newspaper.research in to archives further afield have not produced another. 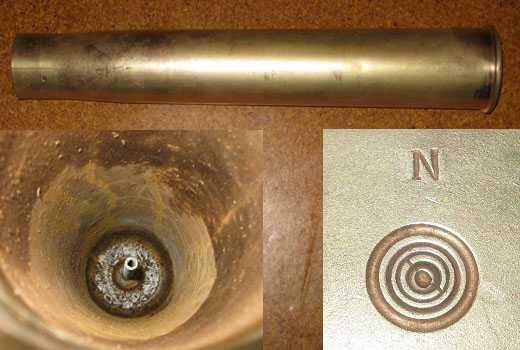 Cylindrical brass tube closed at base and open at other end. Nordenfelt Six pounder quick firing guns were used by land and naval forces to counter torpedo boats. 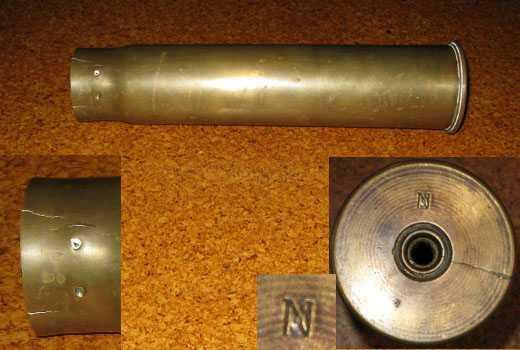 The projectile and its shell casing are of the type and age used by the Victorian Naval Forces but could equally have been used by the land forces. Victorian Naval Forces Manual printed in 1889 with 62 pages with a burgandy cover. Two sections:- Part 1 - Whitehead Torpedos and their component parts used in the Victorian Naval Forces. Part 2 - Electrical section describing firing circuits, cells, fuzes, dynamoes, search lights. 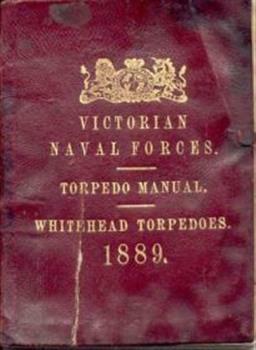 The Torpedo Manual was created in 1889 presumably as part of the training program of the Victorian Naval Torpedo Corps. 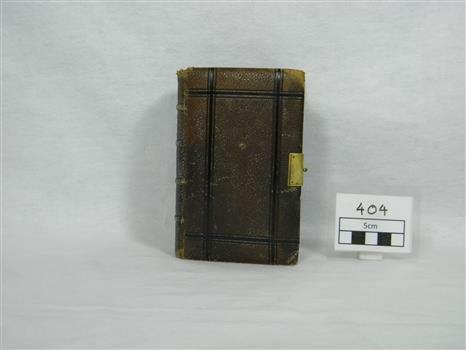 This item is significant partly because some of the information in the manual is not found elsewhere but also as it the only known copy of this manual. The manual is also evidence that a more professional approach to training was undertaken by the Victorian Naval Forces after the mid 1880s. Gunner/Instructor Corkle's of the Port Melboune Naval Brigade written in the manual is evidence of the manual's strong provenance. Inside front cover - "Jno. Co[orkle] /Gunner & Instructor/oPort Melbourne Division/of/Naval Brigade/Port Melbourne/ January 1890." Inside back cover - "J Corkle GI/P.M.B. of N.B./January 1890"
Coloured architect's drawings of the proposed plans for Chaplain's Residence at Port Melbourne on heavy parchment. Including elevation drawings, floor plans and cross sections as well as architect's notes and measurements. 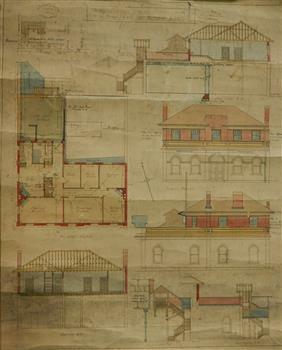 An original group of plans drawn by Walter Butler who was also the architect of the Mission to Seamen building at 717 Flinders St that is still in use today. The early Port Melbourne onshore Mission gradually transformed from a 'wooden shack' to a one storey brick building designed by architect Frederick Williams in 1888. The St Nicholas chapel was added in 1915. Walter Butler was commissioned to add a second storey in 1917. The building retained its functions until 1937 when the Art Deco Mission was built. The building has survived as a structure into the 21st century, and was recently incorporated as part of a multi-apartment development. Historical architectural record of Walter Butler's work. Walter Butler was a renowned architect and friend of the Fairfax family. Embossed architect's stamp in top right and left corners and bottom right corner "Walter R Butler [indecipherable] Melbourne" Printer's stamp on bottom right hand corner of rear "Printed by J. Creffield Propy. LTD. RIALTO, 493-5 Collins St. Melbourne"
Blue register, 11 pages, certificates of marriage, hand-written on parchment. First entry 7th December 1915. Last entry 27th July 1921. Loose certificate kept in back flap dated 23rd November 1925. This is a register of weddings performed at the Mission to Seafarers at the Port Melbourne site. The register names all parties involved including bride, groom, celebrant, witnesses, bride and groom's parents and addresses at the time. It also outlines previous marital status, employment details and other personal details. Historical record of marriages performed at the Mission to Seafarers commencing in 1915. Purple stamp in top left-hand corner of a flag with a flying angel. 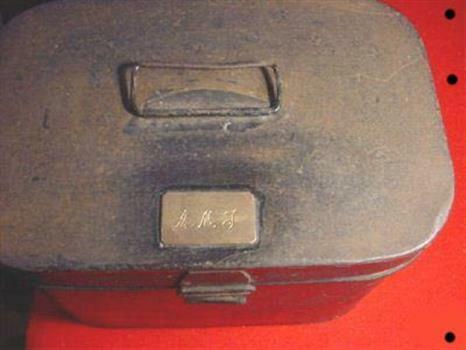 "From the Mission to Seamen Melbourne"
Metal box with handle and broken catch designed to hold two shoulder epaulettes. Engraving on lid - "A.M.T." 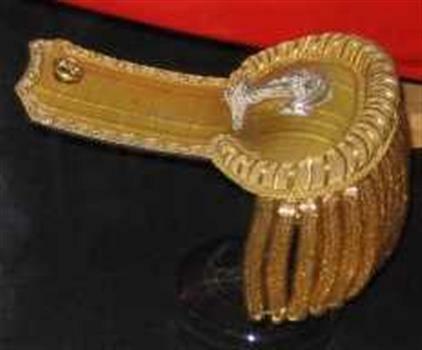 Epaulette with gold braid and anchor insignia. On side - "21/D 7 C/96" On Base - "0 IN II/[C] s/R.L. 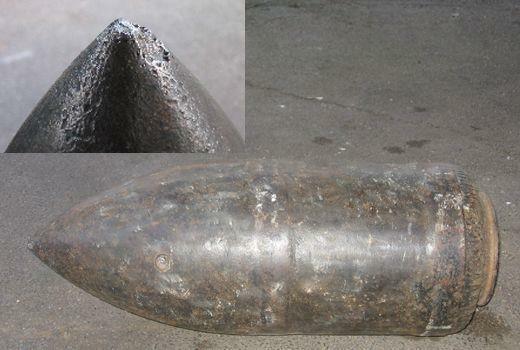 Cylindrical steel projectile with pointed nose. Mk III palliser shot was intended to be fired from the main guns of HMVS Cerberus. Only know shot from HMVS Cerberus. 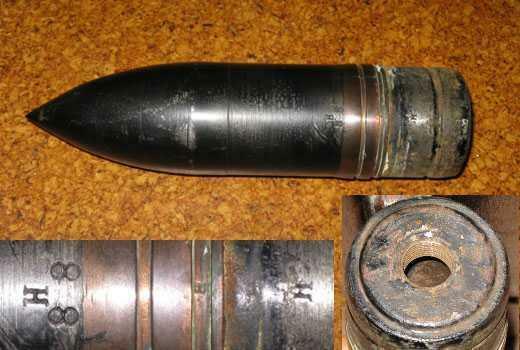 Cylindrical shell casing made of brass. A 14 pounder shell casing manufactured for the two prototype guns used by the Victorian Navy. Unlike the later Mk I and M II 14 pounders which used separate components the ammunition for the prototype guns was assembled into one fixed piece and crimped together. 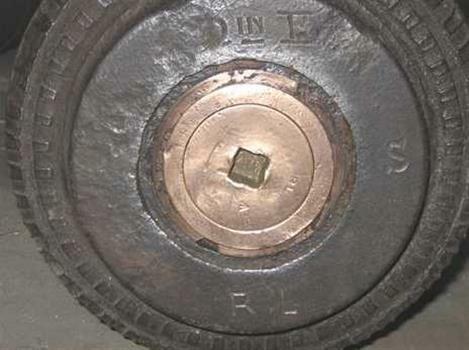 Only a handfull of these sheels are known to exist as later 14 pounder guns used separate shell casing and projectiles. Cylindrical steel shell with cone shaped nose. 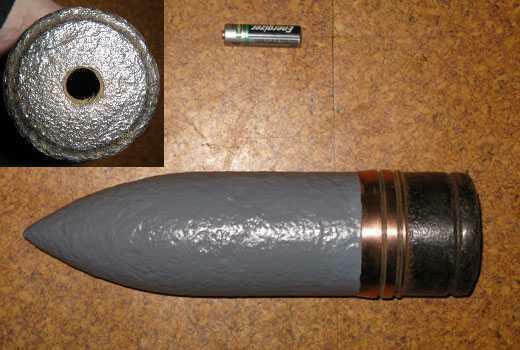 Cylindrical steel projectile with conical nose. This fixed round was unique in that it could only be fired from two guns produced by Maxim-Nordenfelt as prototype guns. Subsequent guns were loaded with a separate projectile and shell casing. The 14 pounder Quich Firing (QF) guns were acquired for use on the armed commercial steamer SS Courier. While not in use they were used at Fort Queenscliff before being returned to the Victorian Navy. The guns were then fitted to HMVS Nelson and then HMVS Cerberus in 1897. In 1900 they were fitted to field gun carriages and accompanied the Victorian Naval Contingent to China. Piece of paper with fields to fill in. 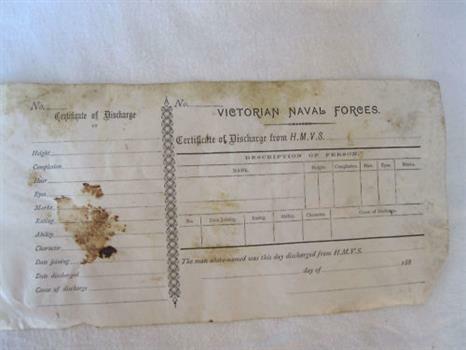 A blank Victorian Naval Forces Discharge Certificate used when a member of the Victorian Naval Forces left. Only known copy of a blank certificate with the stub that was retained by the Navy. Original oil painting by George Frederick Gregory. 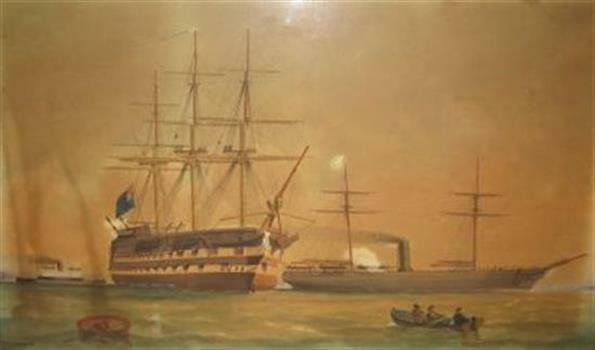 The painting depicts HMVS Cerberus, HMVS Nelson and one of the P&O Mail Steamers. Of great significance as the colour scheme of Cerberus and Nelson is shown. Represents the Victorian Navy in 1888. Reproduction of original painting by Arthur Victor Gregory. Reproduction of the original held by the Royal Historical Society of Victoria. A replica 1870 Victorian flag made of polyester. 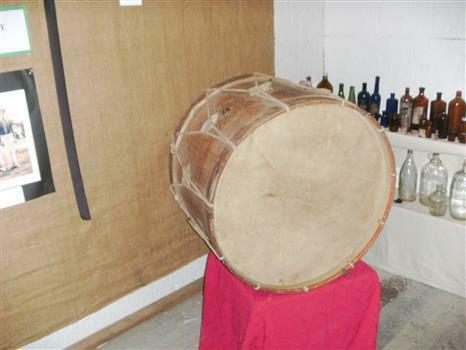 Drum has been in Historic Society for many years no history known till 2010 when a visitor donated several photographs to society .one with the bass drum in front of group of Heathcote Brass Band members. 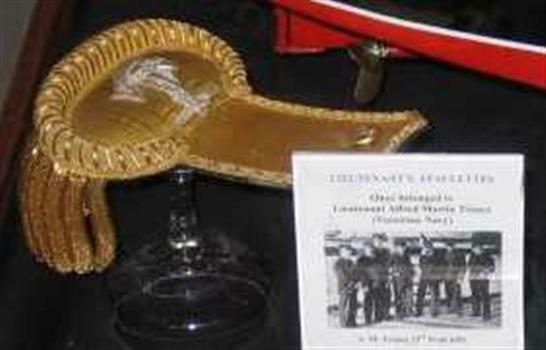 only item known still in exsistance from the brass band dated from 1890-1930 in Heathcote. 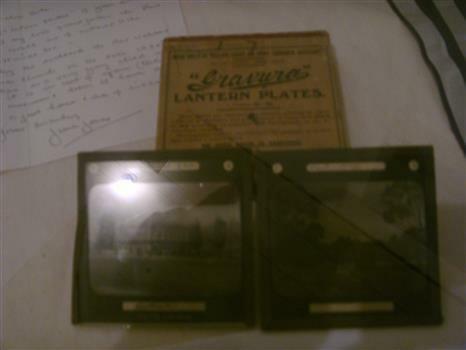 Belonged to Percy Webber who took the slides while he was parish priest of the church of england in Heathcote in 1893.
these Glass slides are only known original pictures still in original box 9 in total taken in 1893 of the various views around heathcote. Cannon ball, black cast iron, minor rusting - one of three. 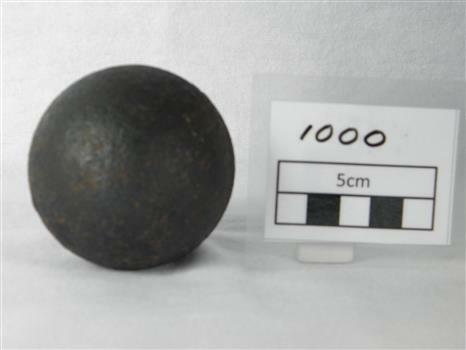 One of three Cannon Balls found c1920 on the north side of Rhyll by Oswald Underdown. It is presumed to be from the 1826 British battery Fort Dumaresq. This together with the settlement near Corinella was set up to deter the French from taking possession of the area. 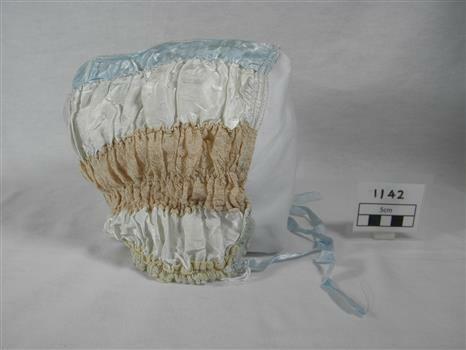 Ladies bonnet made of a blue satin strip at crest, white satin strip, beige lace strip, white satin strip and trimmed with lace at neckline. Has blue ribbon ties. 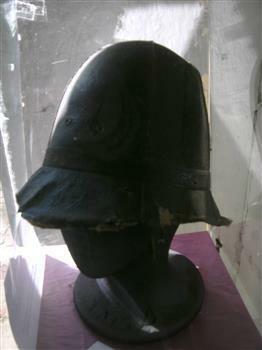 Bonnet was worn by Florence Oswin Roberts. She was a local identity involved in koala conservation in the early 20th century. 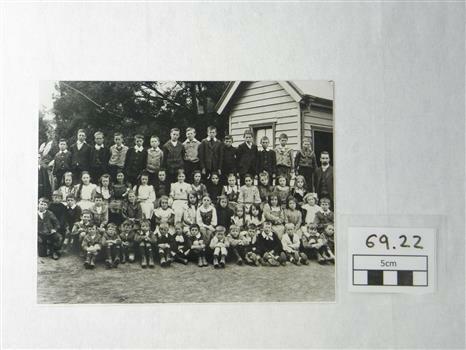 Black and white photographic copy of photograph of 58 pupils and 2 teachers of Cowes State School no. 1282, in 1926. Pupils arranged in 4 rows, older boys at the rear, next row is girls, 3rd row is mixed boys and girls, front row is boys all seated. Background is trees on the left and a wooden building on the right with an illegible sign above and to the right of a window. 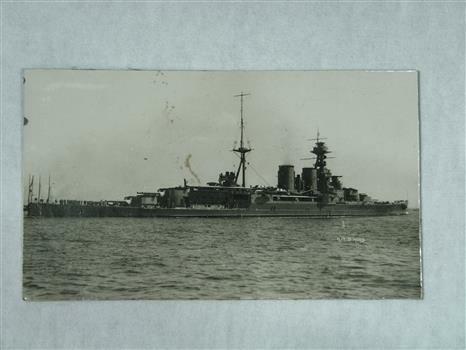 Original photograph from "Back to Phillp Island - 1926"
" Copy from Reg No 11"
Black and White photograph of HMS Hood under way. Crew are lined up from bow to stern for leaving harbour. HMS Hood was one of the most powerful ships in the Royal Navy during ww2. She was sunk by the German Battleship Bismark with a loss of all hands on board. 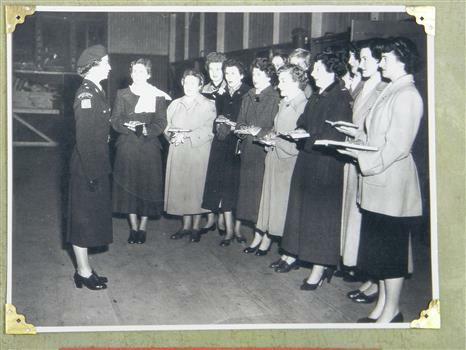 Black and White photograph of the 1st enlistment into 8 WRAAC Coy with MAJ Johns acting AD WRAAC on the left, with 15 ladies in overcoats taking the Oath. .
Churchill Island was discovered by Lieut. James Grant in 1801 and he planted the first wheat crop in Victoria there. The Cairn was erected to commemmorate this by the Victorian Farmer's Union. The Minister of Agriculture The Hon. G. L. Chandler CMG. 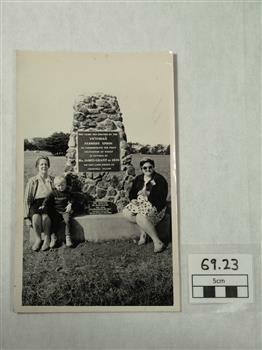 MLC unveiled the Cairn on the 4th May of November 1968. Hand written "Unveiling Plaque 4/11/68 / Back To"